With each new release from Ipecac Records, you never know what you're going to get. And this is proven once more with the self-titled release by Tango Saloon. From the same label that brought you albums by the Melvins, Fantômas, and Isis comes a CD comprised entirely of...tango music? Yes friends, you read it right. Judging from his multitude of projects, Mike Patton is certainly one musically varied gentleman, so it's only natural that this should reflect the releases he puts out via his label. 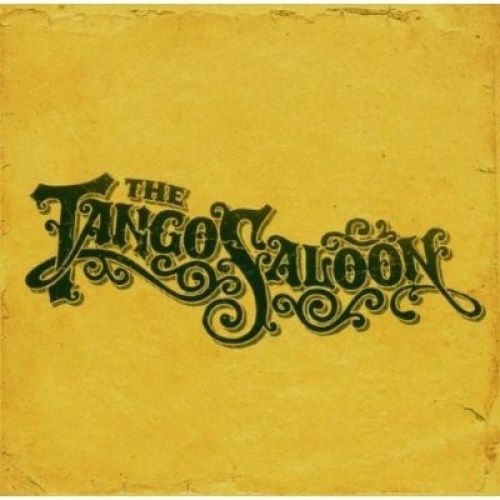 Tango Saloon are led by guitarist/bassist/keyboardist Julian Curwin, who manages to combine two of his biggest influences together -- tango master Astor Piazzolla andEnnio Morricone's spaghetti Western scores. The result is something that is a musical breath of fresh air in the often foul-smelling state of modern popular music. Very few vocals are heard here (the track "Libertango" is an exception), which results in Tango Saloon sounding akin to a movie score at times. But what a movie score it would be, as evidenced by such standouts as "Overture," "Upon a Time," and "March of the Big Shoe." That said, the second half of the disc may lose a few listeners, especially the perhaps too-experimental "Man with the Bongos," while the horns on "The Little Plan That Could" tend to get a bit too "nails on the blackboard." But overall, Tango Saloon is an unexpected (and much needed) break from the musical norm.